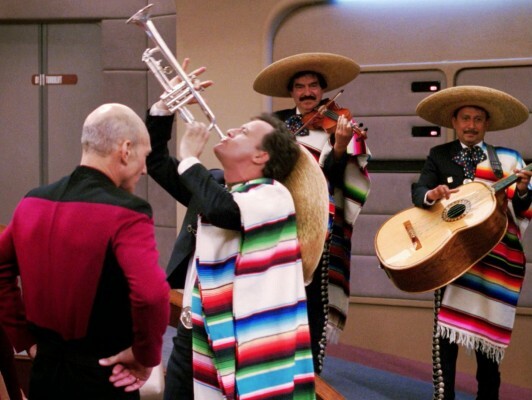 Home » Podcast Episodes » Trek Mate: A Star Trek Podcast – Episode 100: It’s A Bloody Mariachi Band! In this weeks show we discuss our plans for the upcoming “Destination Star Trek Europe” convention and we are glad to be joined again by Kris Smith to take a closer look at the season 3 Episode of TOS “The Empath” in “Who gives a TOS?”. Don’t forget to head on over to yellowballoonpublications.com to pick up your copy of “Deforest Kelley Up Close And Personal”, go on treat yourself.